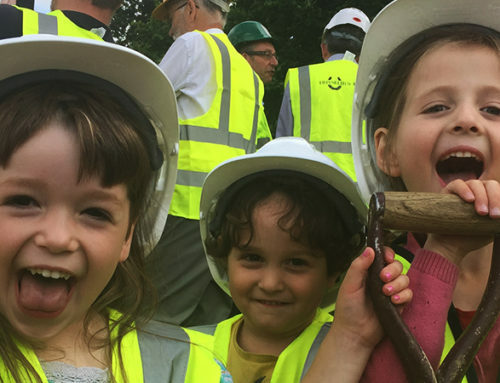 With six months to go before building starts on K1 Cohousing at Orchard Park, Cambridge, more than half of the homes have already been reserved for sale. An open afternoon will be held on 9th July between 3pm and 5pm at Orchard Park Community Centre. Since K1 Cohousing was launched, 24 households have already signed up to be among the first purchasers at Cambridge’s first cohousing scheme. Although many are from Cambridge, others have come from further afield to be part of the K1 Cohousing development – from as far apart as Cheshire and London. Jan and many other purchasers have been involved in K1 Cohousing since it began in 2013. They have been able to play an active role in helping to plan the neighbourhood. They worked initially with landowner Cambridge City Council and then with TOWNhus, the appointed developer, a partnerhship between UK development company TOWN and Swedish house builder Trivselhus. They have been involved in all aspects of the scheme’s design, leading to detailed planning permission being obtained in April this year. There are still several properties available to purchase at K1 Cohousing, and Cambridge Cohousing is inviting people to find out more about whether this is the place for their next move. For anyone interested in purchasing a home at K1, the first step is to find out more about joining Cambridge Cohousing. The next open afternoon will be held on 9th July between 3pm and 5pm at Orchard Park Community Centre. There will, be detailed information provided on what cohousing and K1 are all about, plus the opportunity to meet and quiz the group. Cambridge Cohousing Limited (http://www.cambridge-k1.co.uk) is a company formed by future residents of K1. All residents will be members of the cohousing company, which will be the eventual freeholder of the development. The development is being undertaken by TOWNhus, a partnership between UK developer TOWN (www.wearetown.co.uk) and Swedish developer Trivselhus (www.trivselhus.se). TOWNhus was appointed as preferred development partner by site owner Cambridge City Council in June 2015 for K1. K1 will employ the TOWN Custom Build model to allow purchasers to configure their homes. K1 will contribute two additional affordable homes built to the same high standards as the rest of the development. The scheme will be built to close to Passivhaus standards, exceeding the requirements of policy and making good on the K1 group’s commitment to sustainable development. A full planning application (s/3223/15/FL) was approved subject to a Section 106 agreement by South Cambridgeshire District Council Planning Committee on 6th April 2016.